Strong Neodymium Disc Magnets at CMS Magnetics & Magnets For Sale carry wide Variety of Neodymium disc Magnets of Grade N35,N36,N42,N45, 50 & N52 Neodymium disc Magnets Order Online or Over the Phone. Cylindrical magnets & Countersunk Disc magnets can be found here at Magnets For Sale. 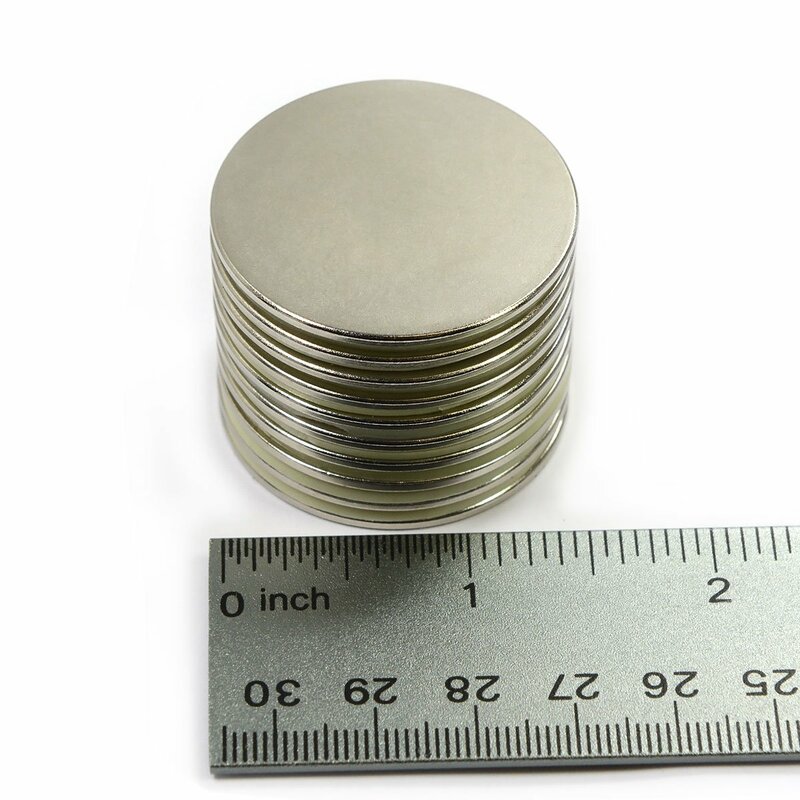 Here at CMS Magnetics & Magnets For Sale we carry Strong neodymium disc magnets with epoxy coatings and with a countersunk hole already drilled in the middle to attach it to nonmetallic materials such as wood or plastic. These neodymium disc magnets even allow the screw’s head to reside below or even with the face of the disc magnet toensure it does not interfere with the magnet’s function. Neodymium Cylinder Magnet N40 0.095"x0.1"
Cylindrical Magnet Neodymium N50 3/16"x1/4"
At CMS Magnetics & Magnets For Sale we sell magnets to the hobbyist and to industry with no minimum purchase. We get them to you FAST. CMS Magnetics & Magnets For Sale is rated A+ by the BBB. Our Customer Service people will help you over the phone if you have only a small idea what you need and gladly take your order right there over the phone. They do not work on commission, they really like to help people get it right and are some really nice people. Really! Or you can order on the website. Neodymium magnets corrode in the weather. 6 months in the elements and it is a mess. 2Individuals with pacemakers should not handle strong rare-earth magnets . Magnetic fields can affect the operation of these devices. 6 You should avoid having constant contact with magnets of any size and keep a distance of at least 3 feet to large magnets. 8 Neodymium magnets will lose their magnetic properties if heated above (150 C). The term “Permanent Magnets” really just refers to magnets that cannot be turned off like an electromagnet and will hold their magnetism indefinitely as long as certain conditions are met. Refrigerator magnets, magnetic jewelry & most office magnets are some examples of permanent magnets that you can find all around you. All magnets on this site are Permanent magnets. All permanent magnets can be classified into two main types, which are also known as families. The 2 types of families of permanent magnets that can be found are rare earth magnets and non-Rare earth magnets. The two magnetic materials that fall under the Rare earth magnet label Neodymium and Samarium Cobalt. NdFeB magnets are made of an alloy of three elements, NdFeB (Neodymium, Iron, and Boron), that when joined together create super strong neodymium magnets. Many people use the term “rare earth magnet” and “neodymium magnet” interchangeably because neodymium magnets are the most popular and well-known of the rare earth group. Other common names for neodymium magnets include neo magnets, or NIB Magnets. Due to their high strength and low cost, neodymium magnets revolutionized magnetic products. These magnets are the strongest developed thus far. Because neodymium magnets are between seven and fourteen times stronger than ceramic magnets, they are sometimes called super strong or powerful magnets. CMS magnetics sells the strongest neodymium rare earth permanent magnets on the market on Magnet4Sale.com with grades ranging from N35 to N52. Grade N52 neodymium disc magnets are the most powerful magnets so far and a grade N52 magnet measuring only ½” can have a pull force of 32 lbs! Our shop carries a variety of these powerful magnets for sale in different shapes, sizes, and grades to fit many different applications. 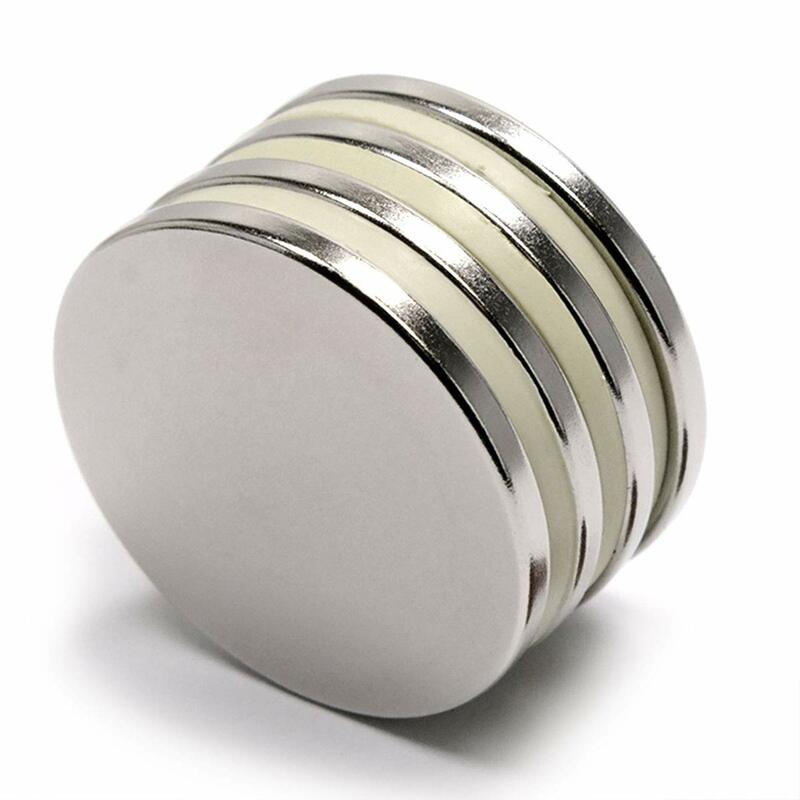 At Magnet4Sale.com & Magnets For Sale, we also sell custom neodymium magnets and custom magnetic assemblies so we can help you find the best fit for your project specifications.